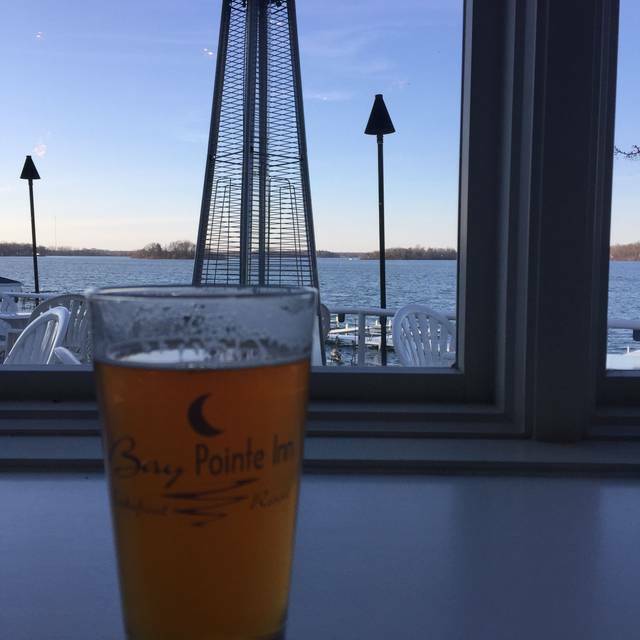 At Bay Pointe Inn we LOVE live music and casual entertainment. Our popular Gun Lake LIVE outdoor concert series hosts a variety of bands from the Grand Rapids and Kalamazoo area. Come join the 400-600 people every Wednesday in our outdoor event Pavilion for a bar, bbq, dancing and a GREAT time. Every Wednesday (Memorial Day through Labor Day). No cover ever! On Saturday evenings in the winter season, right inside the Terrace Grille restaurant you can hear jazz, vocals, piano, guitar from some very talented musicians. And who knows? Sometimes they bring their musician friends! Specializing in Unique Lakefront Weddings, Corporate and Social Events. At Bay Pointe Inn, we pride ourselves in offering custom-crafted meetings and events to delight any palate. We believe that providing responsive and engaging service will ensure that we deliver a memorable meeting. Cookie cutter meetings don’t cut it at Bay Pointe. 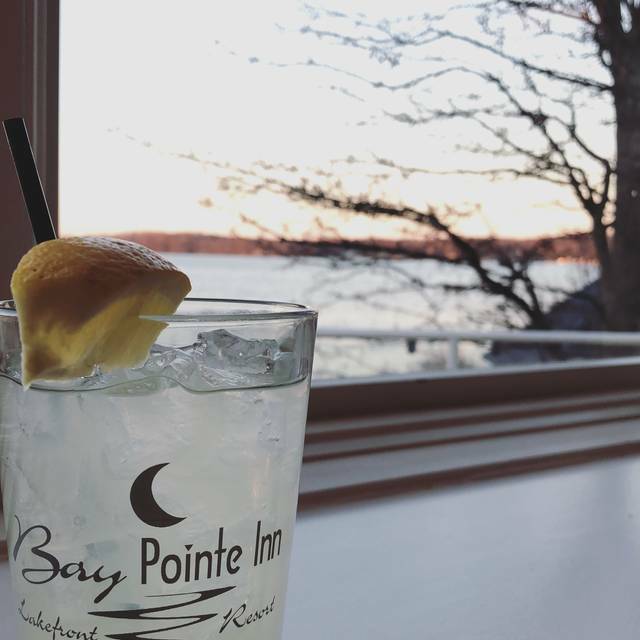 Let Bay Pointe Inn energize your next social gathering. Whether you’re hosting a done-deal client dinner or celebrating an anniversary, we’ve got your back. Take it in with personally crafted menus and private venues designed to delight. Delicious Food + Drink. We have all the ingredients necessary to delight your inner foodie and impress guests. Our inspired chefs are ready to customize the perfect menu brimming with locally sourced, sustainable ingredients all paired with top wines and craft cocktails. Simple really, it's just good food. PLEASE NOTE: We do not accept reservations for our outdoor seating areas. They are seated on a first-come-first served basis. A reservation with us does not guarantee we will have a patio table available for you upon arrival. Unfortunately due to the high demand of this area we cannot reserve any seating on it. All reservations made will have a table accommodated for them in the restaurant's interior. Busy place but not a wait for us because of making reservations on open table. Location perfect, food very good and the service was also. A quiet night away. Fantastic food. Great service and music. My husband and I decided to get away for a romantic Valentine's overnight stay away from work and kids. Everything was excellent except there were very loud screaming kids next to us. First moment we got there and first thing in the morning starting about 7 a.m. Sleeping in and relaxing wasn't in the plan. I would have said something to the staff but I was under the assumption that it was pretty much full. Overall great place and wonderful food. I would go again but would hope for different outcome. 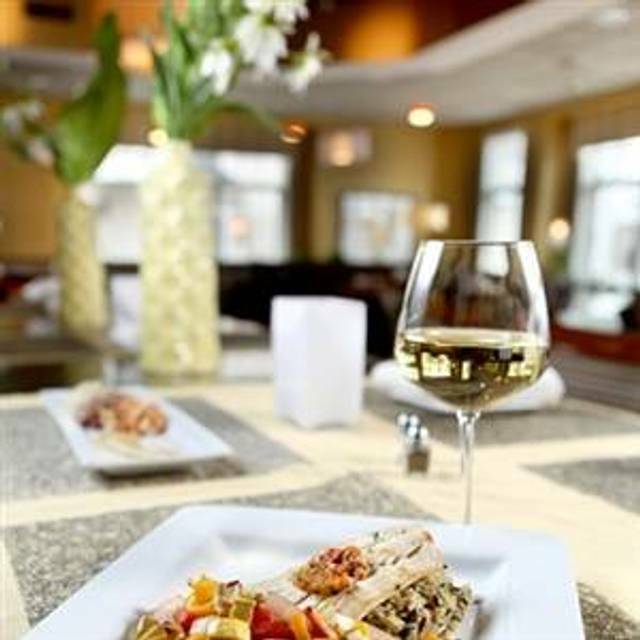 We love Terrace Grille! Definitely make sure to have a reservation on the weekend but other than that it’s great. 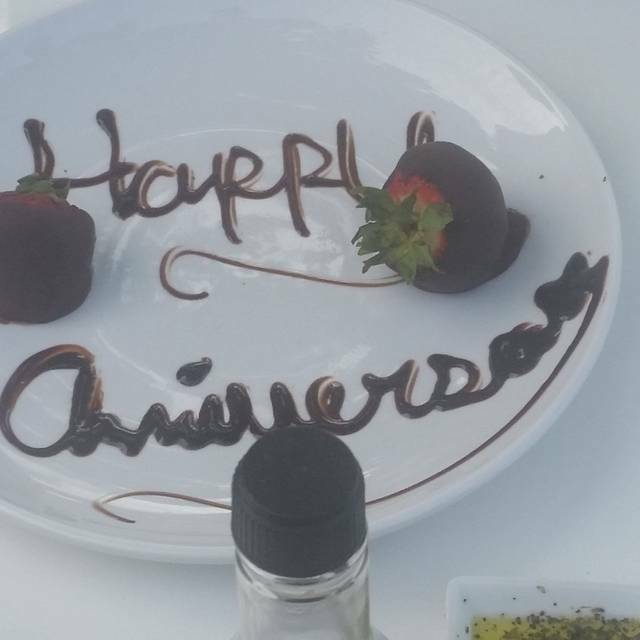 We come here every year for a special anniversary dinner and no matter how busy it is the staff is so friendly and engaging. Food and service were excellent as usual! Always fun, service is great during winter months, can get busy during summertime, but we’ve only been disappointed once. Great food and live entertainment. You can even take drinks to your room. Our waitress was Emily! She was Fantastic! Id come back if all your staff mirrored Emily's attitude and style. She made our night! Dinners seemed over priced for the quality. Desserts were pretty good. Fantastic. Great food and beautiful overlook of the lake. Rolls were served cold (out of freezer?). Good generally well prepared, but pricey. Good drinks. Our first visit here was for date night in the early evening. We enjoyed ourselves and are looking forward to going back at some point. Our food was good although nothing to RAVE about. Prime Rib was okay - you should be able to cut it with a fork but I could have used a steak knife and it was ordered medium rare. The meatloaf was good if you took a bite with all the accoutrements. But the meatloaf on it's own was just okay. 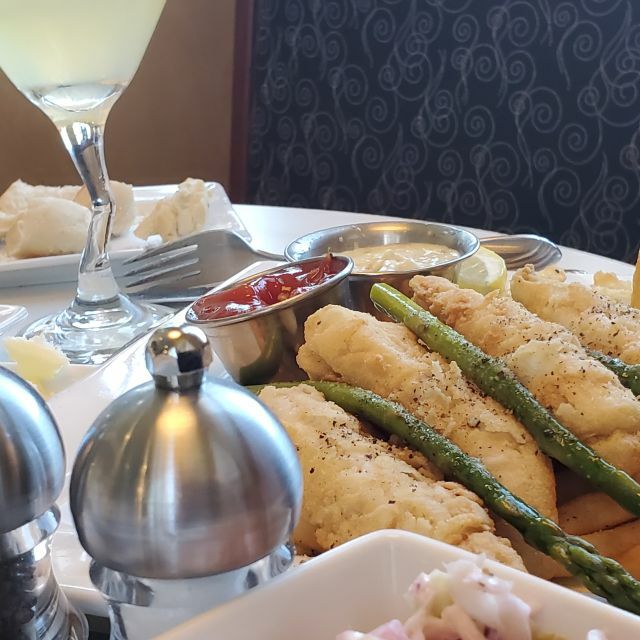 We were most impressed with the service and atmosphere and will visit again when the weather warms up so we can dine outside for a different experience. Definitely worth the drive and we will give other menu items a try. Enjoyed a fun, quiet dinner with our friends. Good was great. Service first rate. Prices reasonable. Great ambiance, service, and food! My visiting friends lived it. Muscic started too early, was too loud. Had a difficult time carrying on a conversation with friends. Would not pick this restaurant if you want a relaxing evening to visit with friends. Celebrated our wedding anniversary here and it was absolutely a perfect! Very Nice restaurant with an exceptional view of Gunn Lake. food was excellent. Dessert menu was very limited. The greeting staff was more than courteous upon our entry, and presenting us with a perfect table. Our waitress, Erin, started things off just right with a pleasant hello, and asking for our preferences. Our service was perfectly slow and easy, and very relaxing. The prime rib was above expectations, taste wise, and the generous portion. The accompanying potatoes and asparagus were perfect as well. Cathe was very pleased with the wine and chocolate-ed strawberries, and notation. Thank-You for the perfect birthday dinner !!! Flavor of food was amazing!! Definitely good portions also!! We brought out of town guests for a seashore dining experience- The food was excellent: great value ! Our dinner date for our anniversary was everything we expected. The beautiful view from the deck overlooking Gun Lake was its own ambient quiet on a sunny September evening. We savored our drinks while we waited - not long - for our dinner. Our server, Cody, was attentive and courteous. He recommended the grilled snapper. He was right. It was delicious! We thoroughly enjoyed our evening! Best venue in the area. Can’t beat eating on the terrace overlooking Gun Lake on a warm night. Food was also excellent tried the clam chowder which was exceptional. Tiago was a great server! Party of 6 and the weather was "if-y". We started on the deck until the rain came and they were very accommodating to move us inside. Excellent waitress and the food was outstanding. 6 different things ordered and each of us kept raving about how good it was! We enjoyed everything about the Terrace Grill. The food was beautifully presented, perfectly prepared and tasty. The view was lovely and the service was top notch. A gem tucked into middle Michigan. We had a 7pm reservation and were seated around 8:15pm. When we attempted to order drinks they were out of almost every item the first 3 people tried to order. We placed our food order, it was at least an hour before our food came. When the food did arrive, it was marginal at best and that’s disappointing as it was not cheap. The steak was over cooked, the fish was over cooked on the ends and under cooked in the middle. When we told the manager he said he was sorry, but then quickly added “you know, it is our busy season and it just happens sometimes”! Our server was great, but her great service did not over compensate for marginal food, too long of wait times, and a manager that was no help. We will not be back and we were a table of 10 foodies who often pay top dollar for exceptional food and drinks. Service was fast and awesome. Food and drinks were even better! Mikes perfect margarita is the best margarita I’ve had by far! Great views even from inside! Highly recommended. Wonderful as always! If you have not been here it's definitely worth a visit and if you're a regular you need to have the brisket! Beautiful view, great food, wonderful staff... what else could you ask for? Great location, great food and very friendly staff! Excellent overall and looking forward to a return visit! Menu could be more varied. Caprese salad had thin tomatoes and too much oil. Steak was very good. Service was a bit slow. Waitress was friendly however. Wonderful evening on the terrace overlooking the lake. Great food too! It was incredibly convenient and a beautiful place for a birthday celebration.